The French countryside will be brought to virtual life in stunning 3D at the Australian War Memorial this winter for the centenary of the Battle of Hamel on 4 July 2018. This important action is the first time Australian and American soldiers fought side-by-side. The Battle of Hamel VR Experience is a ten-minute interactive digital experience. Audiences will wear a VR headset and headphones to fully immerse them in the scene at the village of Le Hamel in 1918. 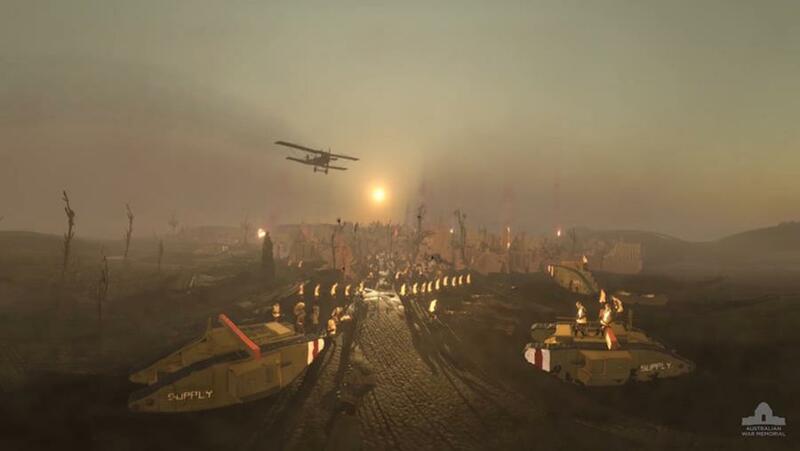 Tanks, aircraft, and the battlefield will be presented in a combination of 3D and 360-degree video. 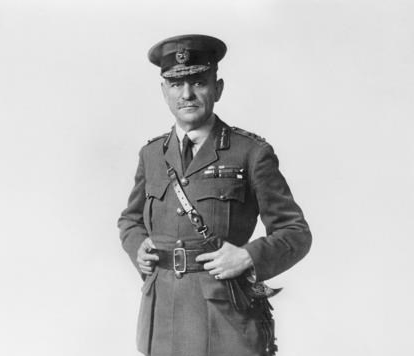 Audiences will hear how Sir John Monash meticulously planned the battle, before choosing to continue the experience from the perspective of an airman, infantryman, or tank crewman. You can experience the Battle of Hamel in VR at the Australian War Memorial from 22 June to 22 July. Book your free tickets here. The Australian War Memorial and the University of Canberra invites current and former Australian Defence Force personnel to participate in the inaugural Napier Waller Art Prize. The prestigious Napier Waller Art Prize program aims to promote the healing potential of art and raise a broader awareness of the military experience and the impact of service on the individual. Entries open Monday 11 June 2018 and close Wednesday 11 July 2018 and entrants can submit any visual art medium. Visit our website for more information. 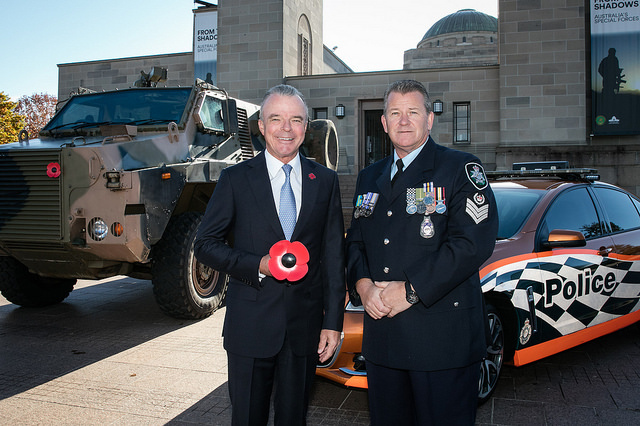 Brendan Nelson, Director of the Australian War Memorial, and Detective Sergeant Marcus Boorman, Australian Federal Police, have a simple message to ‘Pop a poppy on your car’. 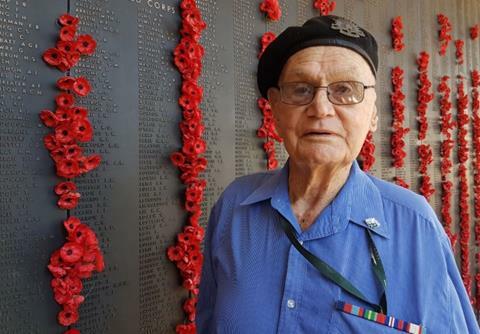 As an act of remembrance the Australian War Memorial is urging Australians to put a commemorative poppy on their cars to help mark the centenary of armistice. Poppies are now available from the Memorial shop and online for $9.99. Coinciding with the 100th anniversary of the Battle of Hamel, the Australian War Memorial will dedicate a new sculpture to commemorate the life and achievements of General Sir John Monash. Members of the public are welcome to attend the sculpture dedication. To mark the centenary of the Armistice that ended the First World War the Memorial has produced a limited edition “Welcome Home” bear. A donation is made from the sale of each bear to the charity Soldier On, which supports Australia’s physically and psychologically wounded servicemen and servicewomen. Founded in 2012, Soldier On works to enhance recovery, inspire communities, and empower those who have served our country, giving them the dignity they deserve and the chance to do and be whatever they choose. Share the post "June 2018"